Knowing this I set up the town of Phandalin very much like a video game by pointing out all the notable NPCs that had relevant information or a quest available. A floating yellow exclamation point, if you will. This worked really well as the PCs were able to go around and visit each location, have a quick dialogue scene, gain a quest, and move on to the next one. In a single hour we were able to tackle the Lionshield Coster, Woodworker (which I custom added as a crime scene based on built-in events), Miner Exchange, Alderleaf Farm, Edermath Orchard, and Sleeping Giant Taphouse. Given our relatively shorter sessions compared to most D&D outings (we go for 2-2.5hrs a week) I’m used to having to gently remind my players about events, facts, or relevant information that their PCs learned but they may have forgotten. To help alleviate this I created a quest log in Roll20 – basically handouts that remind the PCs of various quests and tasks they’ve been given. Their quest log is huge right now; one reason I love this module is because of all the tasks they gain in Phandalin and options they have in tackling them. Their most pressing concern, however, are the Redbrand threat that’s terrorizing the town. They received enough information and general pleading from the townsfolk to deal with the Redbrands in their not-so-hidden base beneath the ruined Tresendar Manor at the East end of town. Begin dungeon #2! I love that my players are paranoid/interested in exploring each room thoroughly. 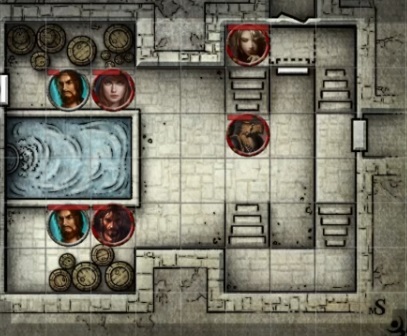 Case in point – the starting room of the Redbrand Hideout, in which everyone explored the cistern, the barrels, everything but the door on the West side! 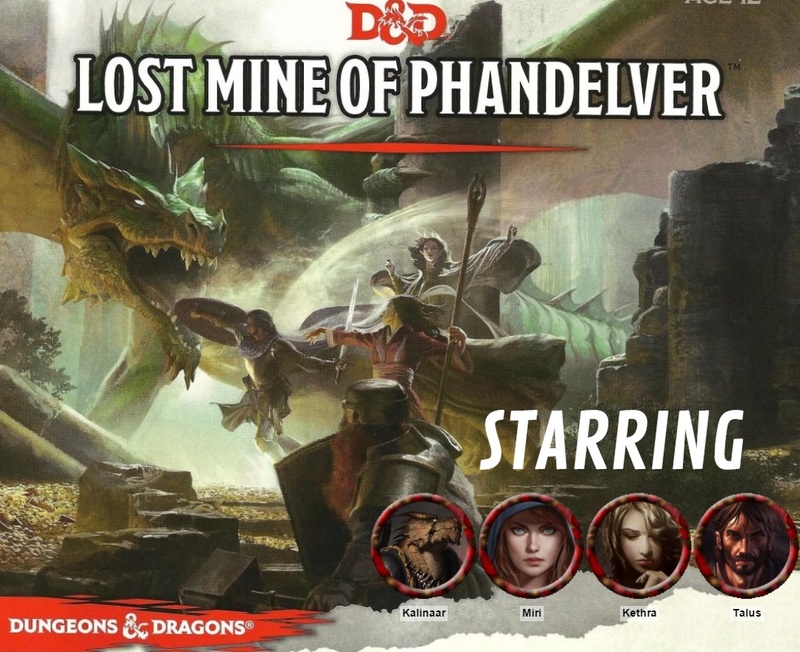 Since the “Lost Mine of Phandelver” book suggested it, I had the three Redbrand Ruffians in the next room sneak in once they heard all the rummaging and exploring the PCs were doing, and get off a surprise attack. Unfortunately for them they were hampered by the close quarters, minimizing their initial damage. The heroes were able to defeat them with conventional tactics but not before Miri and Kalinaar took some significant blows. Miri in particular rolled 20+ on just about every attack roll, proving quite the Redbrand killer. Looking forward to what will probably be an all-dungeon crawl session next week.